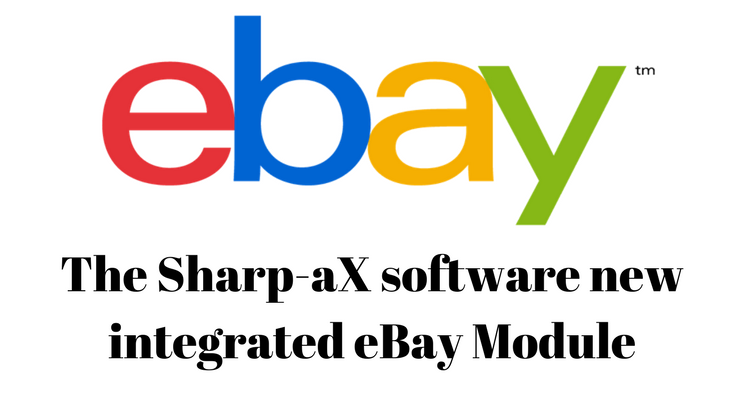 Sharp-aX announces the release of their new eBay Module to enable seamless integration with the US$9 billion online marketplace. Convert stock items to eBay items and list on eBay from Sharp-aX in a couple of clicks. No need to re-key information like product description, photographs or prices. See and create all eBay required information within Sharp-aX like categories, shipping services, return policies and warranties. Receive orders from eBay and convert them into Sharp-aX Sales Orders instantly. See your latest stock levels and money received from your eBay customers. Allocate from stock, backorder from suppliers or manufacture goods to fulfil eBay orders. Ship items from Sharp-aX and pass the information to eBay. All items shipped are updated on eBay automatically – completely synchronised by the Sharp-aX system. Get and manage eBay cancellations in Sharp-aX. Always be up-to-date by downloading your Selling Information from eBay. See active, sold, unsold items and selling summary. Update your eBay listings accordingly. Please contact our support team via email support@sharp-ax.com or call us on 01442 505950 for further information and/or to arrange a demonstration.